Lark Lane is a wonderful place. You can eat there, drink there, shop there, and generally have a very nice time. 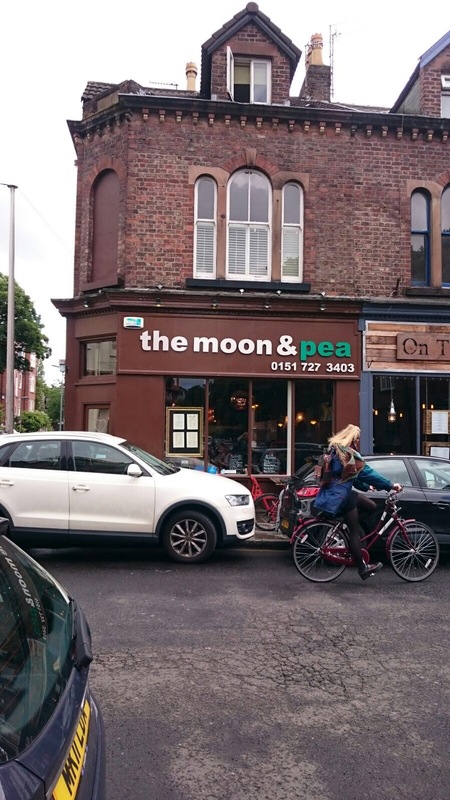 Moon & Pea is a cute little cafe that does “the best breakfast in Liverpool” – an official quote taken from my boyfriend. 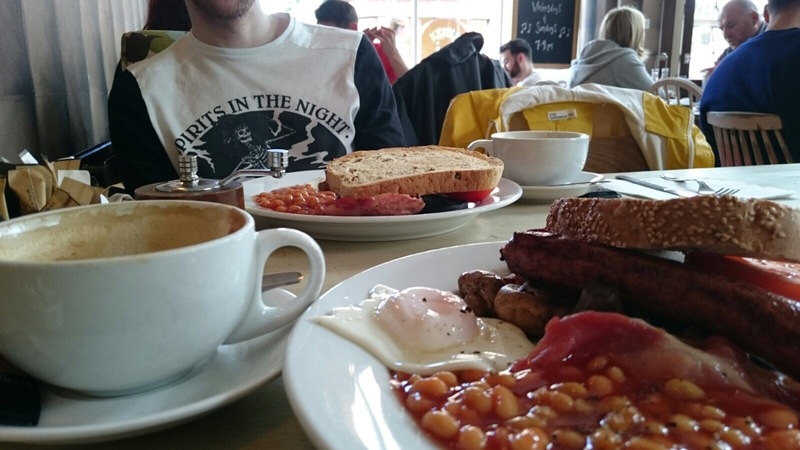 There’s a lunch options to choose from and some delicious sounding burgers, but we visited here for one thing and one thing only: breakfast. We both ordered the Pea breakfast (£5.95) but there is a larger option with the Moon breakfast. 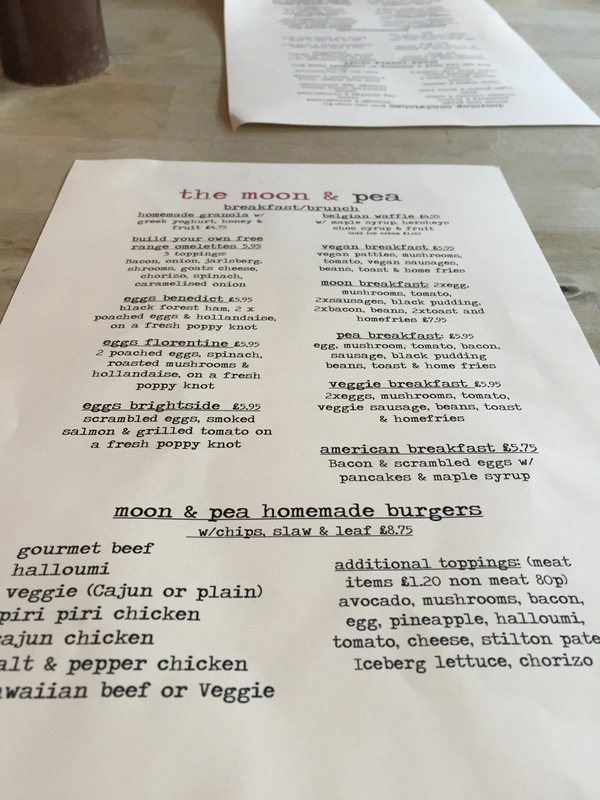 Whatever breakfast (or lunch) you order from Moon & Pea, I can assure you it’s going to be delicious. 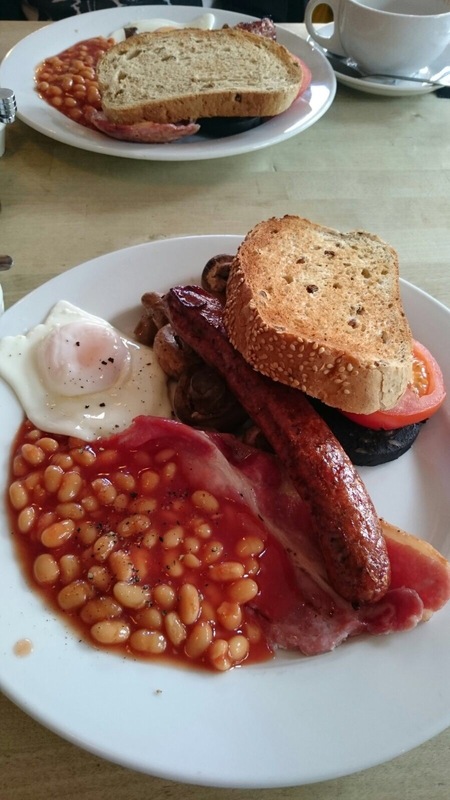 The Pea breakfast includes beans, sausage, a fried egg, possibly one of the best bits of bacon I’ve ever tasted, black pudding (Jon switched me mine for his tomato – although I did try a tiny bit), mushrooms and tomato. All this with a soy latte is a perfect combination. Moon and Pea is so chilled, and despite the small queue waiting to be seated, we didn’t feel rushed to finish our meal. 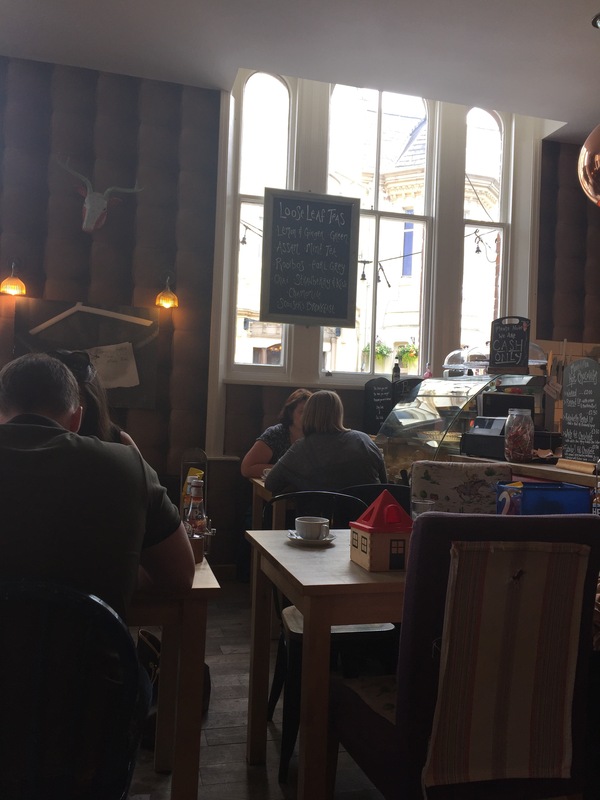 Decorated with photographs and adorable taxidermy, it’s a calming place to start your day or take a little break from it. 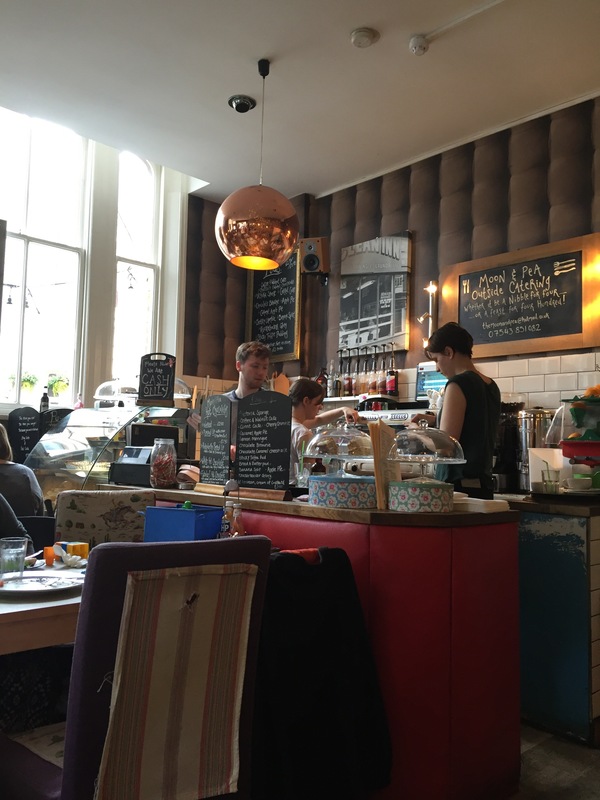 Next time you take a little stroll up Lark Lane, I would definitely recommend popping in. Loving the blog Danielle! It’s such a brilliant idea. Although, it does make me hungry!